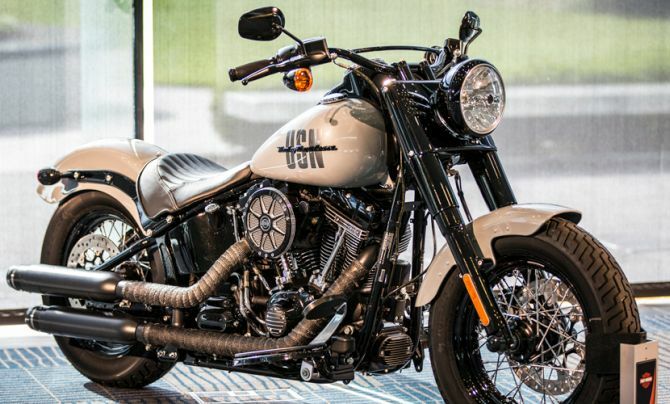 Lockheed Martin has teamed up with American motorcycle manufacturer Harley-Davidson to create a one-of-a-kind motorcycle. The partnership commemorates the commissioning of the USS Milwaukee, US Navy’s fifth Littoral Combat Ship (LCS 5). 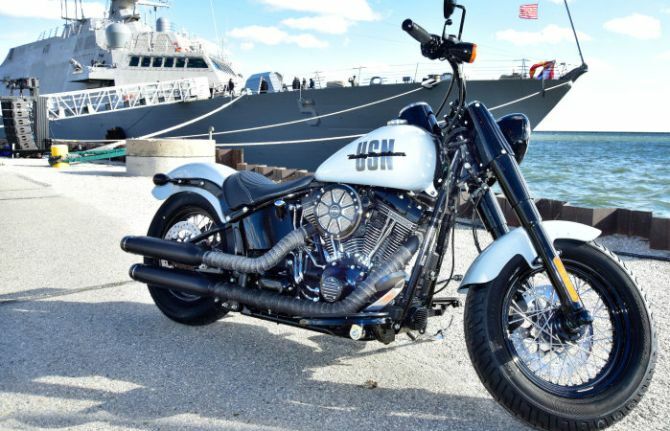 Honoring the U.S. Navy and the city of Milwaukee, the custom motorcycle based on a Harley-Davidson Softail Slim S will be on display during USS Milwaukee Commissioning week. The bike will be exhibited at various events over the course of next year and finally will be auctioned to support the National Military Family Association (NMFA). Ray Drea, Chief Stylist at Harley Davidson is behind the design of Custom USS Milwaukee-themed bike. The designer got the needed inspiration by touring the Fincantieri Marinette Marine Corp. shipyard in Marinette, Wisconsin, where the Lockheed Martin-led industry team builds the Freedom-variant LCS. Embellished in a gray paintjob with letters USN inscribed along the fuel tank, the design of the custom bike also honors the historic WWII-era Harley-Davidson motorcycles and choppers. The latest Combat Ship is the fifth U.S. Navy vessel to bear the name Milwaukee. Before she begins her first deployment, the ship will transit to its homeport in San Diego, California, where it will be integrated into the fleet and the industry-Navy team will conduct additional program testing and crew training. Also the fifth vessel in the new Freedom class of LCS built by Lockheed Martin, the 378 feet is powered by a combination of two Rolls-Royce gas turbines and two Colt-Pielstick diesel engines that delivers a top speed of 47 knots (or 54 miles per hour).